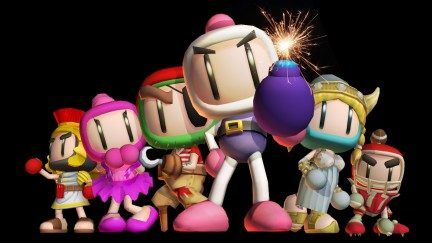 Fans should get excited about the new Bomberman game making its way to the Xbox Live Arcade. Bomberman Live Battlefest will deliver the classic puzzle game play the series is loved for with a variety of new modes and multiplayer options. It even features a capture the flag game mode which the producer says was inspired by popular FPS games. Currently, the game will only be available on the Xbox 360, although it is speculated that it will make its way to other platforms at an unspecified time after its December 8th release. Judging from the history of successful downloadable game for the 360, I have to say it seems likely. For more details on what to expect from the new release, check out our impressions of the game from Comic-Con.